If you want to celebrate your Pre Wedding in style and volume then the IXL Events Centre is the venue for you. 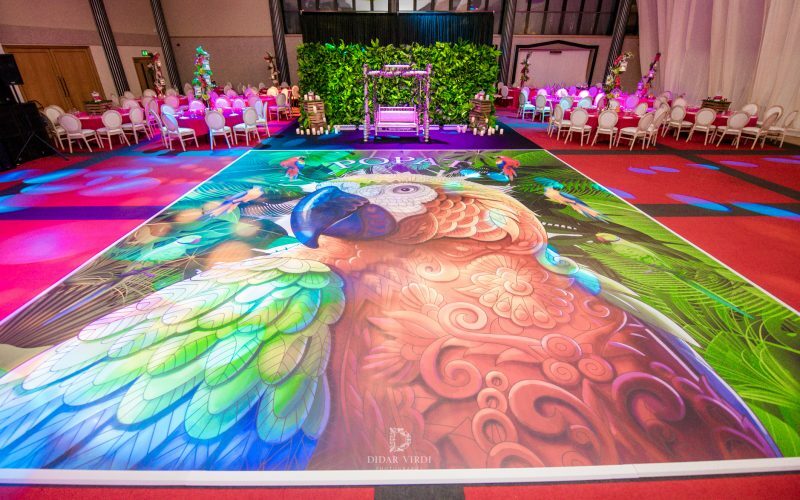 An amazing bespoke printed dance floor to celebrate the couples surname ‘POPAT’ meaning Parrot. 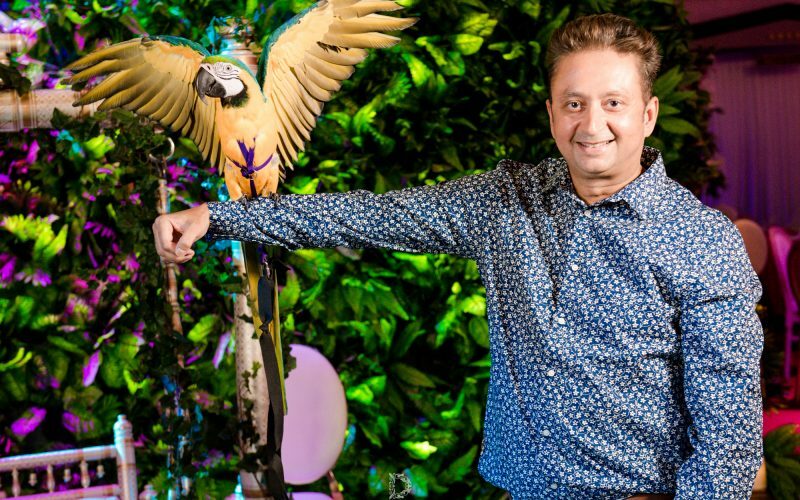 Making your event extra special with live entertainment, of any kind.